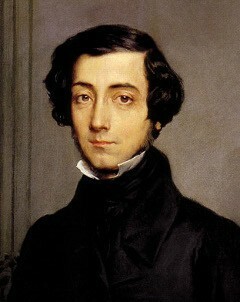 Alexis de Tocqueville was a 19th century French historian, famous for his claim that the world will more readily accept a “simple lie” than a “complex truth”. 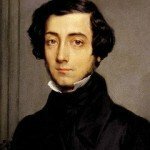 Writing in The Ancien Regime and the French Revolution (1856), Tocqueville adopted a liberal-conservative line, not dissimilar to Simon Schama some 130 years later. He suggests that pre-revolutionary France was a bustling society supported by a modernising economy; he also argues that French monarchs had allowed too much freedom, something that undermined their authority and capacity to govern. Like other liberal historians, Tocqueville is critical of the aristocracy, who he believed were indolent and purposeless political saboteurs. He sees the events of 1789 not as a response to immediate factors, but a climactic moment that followed a long chain of dissatisfactions, disputes and tensions. “Never before was such an inevitable event so unforeseen”, he wrote of the violence in Paris.